David M. Wiese is a Partner in Washington D.C.'s Business Law Group. He concentrates his practice on sales, distribution and marketing matters. In particular, David has significant expertise in franchise law, advertising and marketing law, regulatory issues, and commercial contracting. David’s clients are focused in the transportation and retail sales industries. 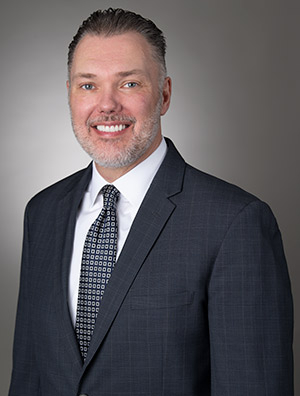 He has extensive experience in providing day-to-day legal advice regarding motor vehicle dealer and franchise-related matters, including relocations, ownership changes, succession issues, open points, sales, exclusivity and site control issues, and performance improvement programs. David is also regularly involved in discussions and recommendations regarding complicated distribution network strategies and plans, including dealer-related legal issues companies face when considering entering into the automotive industry in the first instance and/or developing a new brand. Companies also rely on David’s advice on key advertising and marketing matters, including those relating to compliance with the FTC Act and the various state unfair and deceptive acts and practices statutes. For example, he routinely counsels organizations on issues involving substantiation in advertising, as well as the application of the Federal Trade Commission’s “.com Disclosures,” Green Guides, and Endorsement Guides. Prior to Quarles & Brady, David worked as in-house counsel for General Motors and Volkswagen Group of America, Inc., as a government regulator at the Federal Trade Commission, as well as an attorney at Barack, Ferrazzano, Kirschbaum and Nagelberg LLP and at Jenner & Block LLP. Counseled senior leadership at two major automobile manufacturers regarding sales and distribution-related matters, including those involving significant dealer network issues. Developed dealer advertising and marketing standards for two motor vehicle companies. While at the Federal Trade Commission, obtained full $1.8 million judgment against company for deceptive mortgage modification marketing. Drafted multiple contracts in excess of $1 billion between automotive manufacturers and rental car companies.